Rooms Can Have a Dual Purpose! As I meet with clients with limited space to help them with organizational needs whether it is their residence or small business, we find that there are rooms that can be used for “dual” purposes. What rooms might they be? Today let’s talk about the dining room and how we can convert it into a room for the kids to do their homework. It’s quiet and usually not in the traffic of activities happening in the family. With these minor changes, you can have a space that will serve “dual” purposes; a dining room to celebrate holidays/company AND a place to store school supplies and do homework. Purge items in your hutch to make room for school supplies. 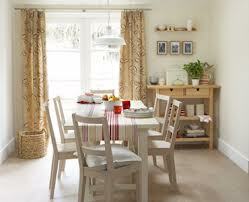 Get rid of all broken dishes or glassware, candles too short to burn, and tablecloths and napkins too stained to use. If you don’t have a hutch or your hutch has no room (even after de-cluttering), then incorporate a small dresser into the room. Use one or two drawers for table cloths and napkins, the others for things like pens, pencils, and scissors that might be used frequently at the table. If you read the paper at the table, keep a decorative recycling basket nearby to avoid stacks of paper on the floor. Hang decorative pegs for backpacks. Keep a small trash can nearby by for all of those activities other than dining that leaves a mess. If your table is “high end” be sure to put a pad on it to avoid scratches.